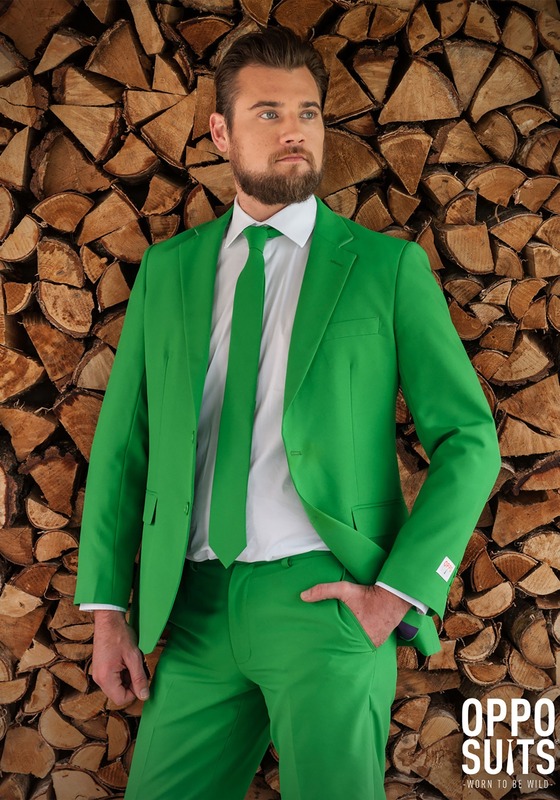 Make your next formal event more memorable with a bright green suit by Opposuits. The suit is 100% polyester, 200% amazing according to the product label. 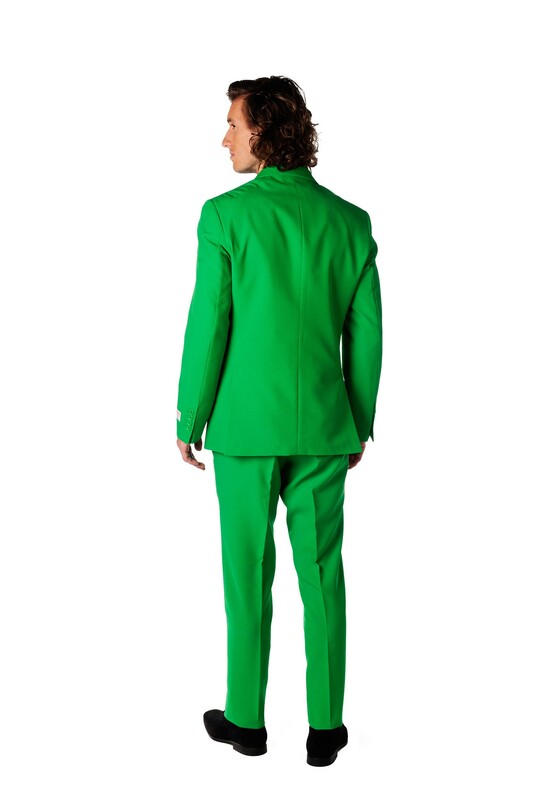 The jacket is fully lined with a 2 button closure in front and the pants have button and hook closure over zipper, 2 front pockets and two back pockets. 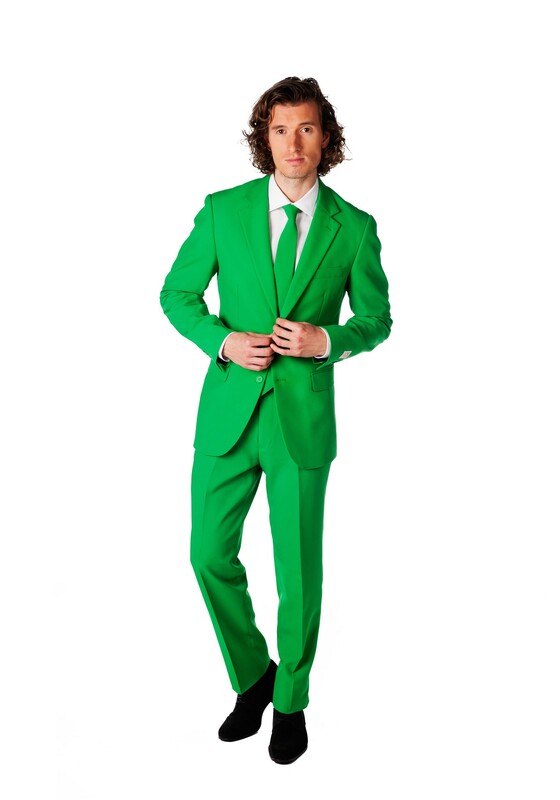 The necktie matches the suit, and it's not a clip on so learn how to tie a tie already.